Live life to the full as a digital nomad in Vietnam. Vietnam is an amazing country to explore. There are several digital nomads such as Jodi Ettenberg from Legal Nomads, who has expressed her admiration for life in Vietnam on her blog. Others have successfully based themselves in the country and enjoyed the experience. Vietnam is a convenient place to be based for several reasons. The weather, the food, the infrastructure and the proximity to travel. You can fly into the north of the country and head towards the Chinese border. Or you can head west and enter Laos. Or even go South-west and enter the Kingdom of Cambodia. On top of that, there are flights to nearby countries including South Korea, Japan, Thailand, Malaysia and more. If travelling through Asia appeals to you, then you do need to consider Vietnam as a base. If you want to travel in Vietnam, you will need to check the visa requirements for your country. Some countries do receive a Visa Exemption, however the stay is usually limited to 15, 21 or 30 days. An electronic visa (also known as an e-visa) can be obtained online and presented at the immigration checkpoint when you reach Vietnam. This visa will allow you to stay in the country for up to 30 days. A 3-month DL visa can be obtained, however you will need to fill out the form and apply at the nearest Vietnamese embassy. In some cases, the visa can be extended to 12 months. 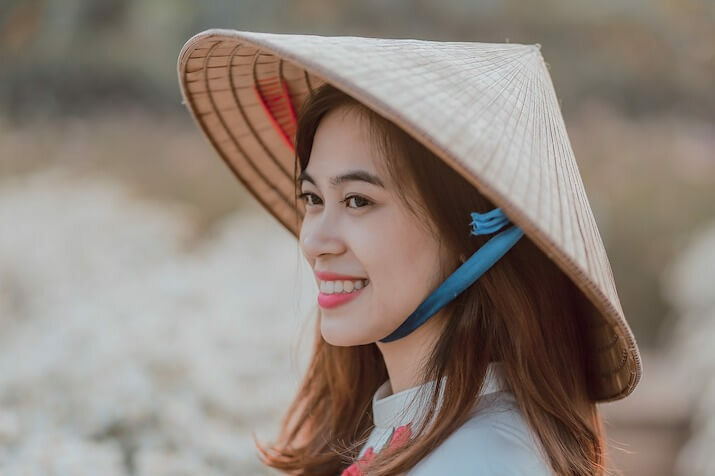 How much is a Vietnamese tourist visa? Expect to pay $25-50 USD, depending on the type (single or multiple entry) and length (30 days or 3 months) that you opt for. Accommodation in Vietnam is much cheaper than when you compare prices to Western standards. It is possible to secure properties for less than $600USD a month. I personally prefer to travel and see as much of a country as possible. So I would look at accommodation rates that’s less than $40 a day. However, if you are travelling and decide that you want to base yourself in one location for a few months, then you can cut down the living cost to less than $20 a day with long-term accommodation deals. I’ve shared a couple of accomodation options in Hanoi (The capital city of Vietnam), Hoi An (which sits by the beach) and Ho Chi Min (which is the major city in the south of the country. There are quite a few accommodation options in Hanoi. You can use the links below to find accommodation deals in the area. You can see a video tour of one of the apartments you can rent below. Handy Facebook groups to join. This will make it easier for you to find and get recommendations for accommodation. You can also see the video below to get an idea about the type of accommodation that you can expect to rent in Hoi An. You can see an example of a 2 bedroom apartment hired by an expat in the video below. If you want to be based close to the beach, then you need to consider basing yourself in the city of Hoi An. If you want to get around using public transportation, intercity buses, trains and planes, I’d recommend checking out the detailed travel guides on Seat 61. There are local and intercity bus options that you can take to get from place to place in Vietnam. The prices are pretty inexpensive, although the comfort isn’t at the same level as western standards. Especially when it comes to the overnight buses. That being said, if you want to travel inexpensively, the bus network is your best bet. The train prices cost a bit more and there are different classes that you can opt for. If you can afford it, I’d recommend travelling long distances in first class as the extra comfort and leg room is definitely worth it. We travelled in second class, which was ok, but still not that comfortable. You can actually find some great travel deals to internal destinations as well as external countries. VietJet and Air Asia offer some great low-cost flying options. You can use the website Kiwi, which includes price comparisons with these airline carriers. You will discover in Vietnam the abundance of scooters in the country. They are used to get everywhere and in the more dense cities, it can be tricky trying to navigate the streets on your scooter. You can find inexpensive monthly rentals for less than $100 a month. Or you can opt to purchase a scooter for your stay in Vietnam. The food in Vietnam is inexpensive, yet delicious. There’s an abundance of freshness when you go for a meal. 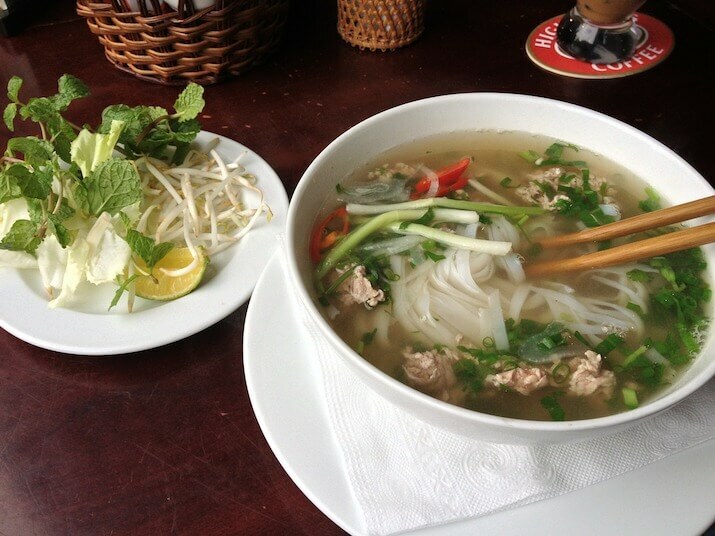 Whether it is getting a pho from a street vendor or munching on some nems (spring rolls), there will be something to suit your appetite. It is possible to spend less than $2 on a meal. You will find that many people in Vietnam opt to eat out due to the low cost of street food. However, the price will be more if you decide to eat in a restaurant. Your best bet is to see what local food is available in the area and then decide on the amount of times you would like to eat out vs eating at home. If you would like to learn more about living as a digital nomad in Vietnam, you can check out the following posts. Also get your hands on the Vietnam Lonely Planet Guide so you can maximise the experience during your stay. I hope that this has helped. Disclaimer – This post does contain affiliate links, but the opinions are my own.